There’s something different about Burnley Brewing. Like many brewpubs it has a concrete floor, large bar and a long row of taps. But there are also softer touches. Pastel pinks, blues and greens are complemented by light wood-grain finishes and tan booths. Behind the bar a brewery sign is illuminated in gentle white light that contrasts with steel-grey walls. 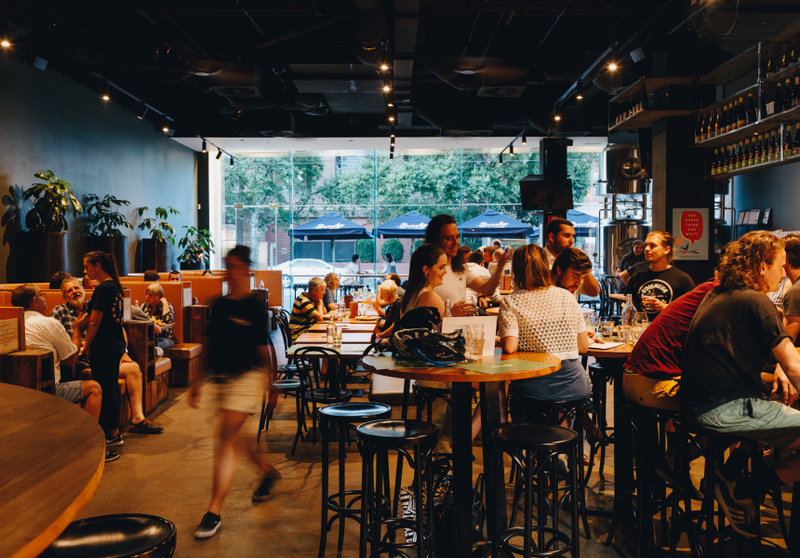 There are shiny brewery tanks in the front window but it’s the reclaimed spotted gum bar co-founder Neil Mills wants people to gravitate towards. 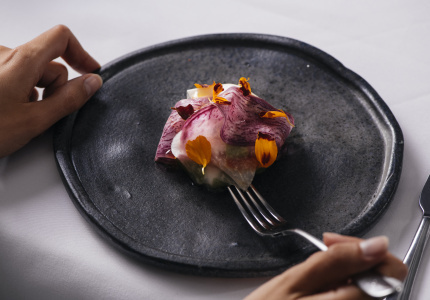 Those familiar with Romulus and Remus, the Italian restaurant that was here before, will immediately find similarities. The space, firstly, but also many of same kitchen staff. 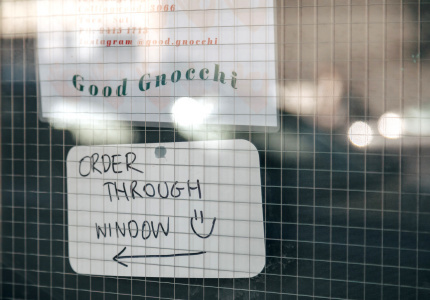 That means Italian dishes such as crispy gnocchi with pea and chorizo, or beef ragu lasagne. They sit side-by-side with American-style bar snacks including nachos and wings. 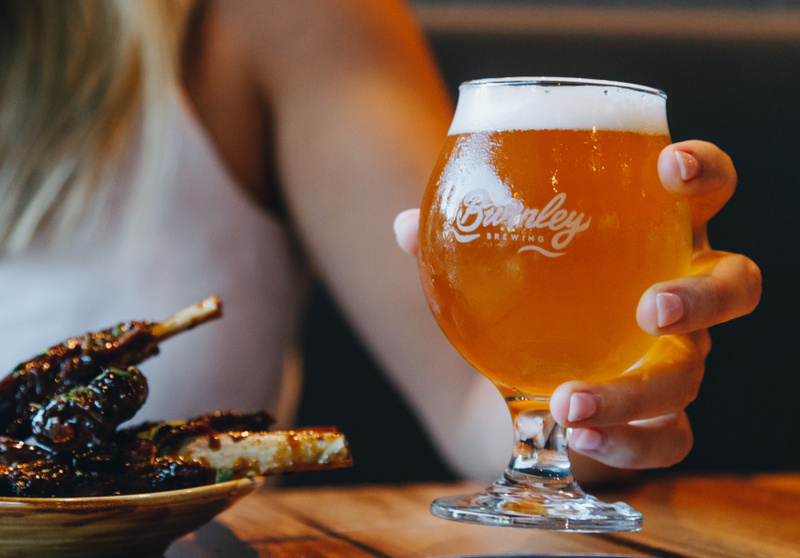 Like the clash of soft and dark colours, it’s a fresh take on a well-worn brewpub formula. 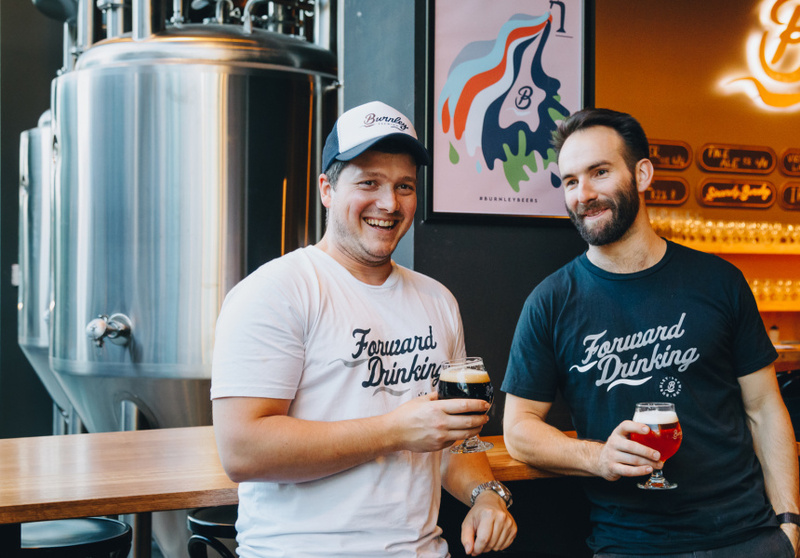 Beers are brewed in-house with the help of Michael Stanzel, a Melburnian who spent eight years working and completing a Brewing and Malting apprenticeship in Germany. He was brought on to create the beer and refine Mills’s homebrew recipes – the result is clean and well executed. The vibrant yellow Pale Ale, with tropical and citrus flavours, is the pick of the lot; and no doubt the Double IPA and Coffee Brown Ale with lactose (milk sugar that helps give beer a sweet body) will find fans among those wanting bigger flavoured pints. 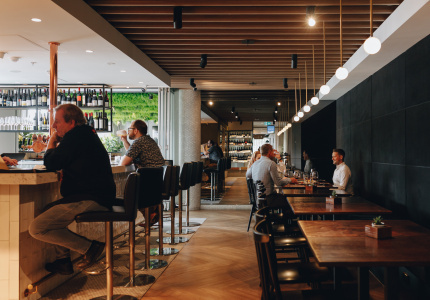 Mills owns Burnley with business partner Phil Gijsbers (together the pair have a number of venues including Pedro Espresso and Small Print Pizza) and the former owner of Romulus and Remus, Renton Carlyle-Taylor (The Milton Wine Shop, Toorak Cellars, The Hills and The Alps. The team at Milton Wine Shop curated the wine list. 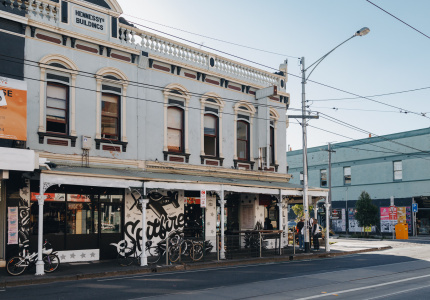 With neighbours the calibre of Slowbeer, Uitgang Bar and Mountain Goat Brewery, the Yarra end of Bridge Road is a seriously good destination for beer fans.